High Cliff Wedding and Event Center. Make your day extra special. 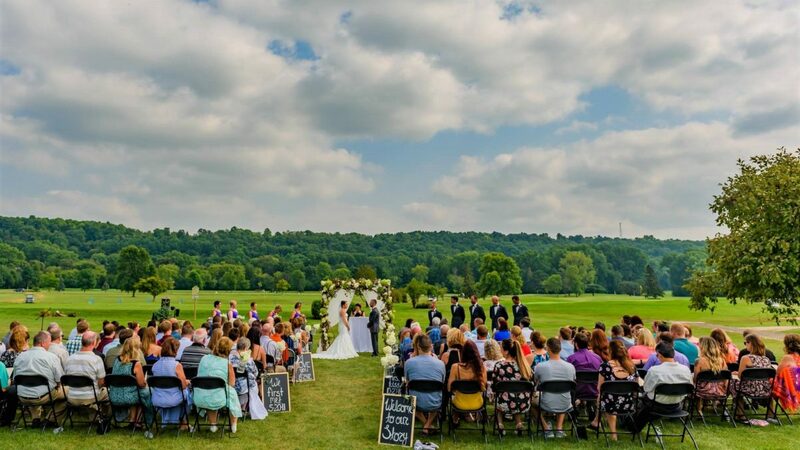 With the background of a meticulously manicured golf course, framed by the stunning views of the Niagara Falls Escarpment, High Cliff Golf and Event Center offers unmatched views for your wedding or special event. Located in beautiful Sherwood, near the entrance to High Cliff State Park, our facility provides two uniquely different ballrooms, a bridal suite and an outdoor wedding ceremony area with views of the Cliff as your background. Our lower ballroom, the Garden View Room, will seat 270 with round tables of 10 or 320 guests with banquet tables. Our upper ballroom, the Cliff View Room features beautiful views of our Course and Cliff in an atmosphere of simple elegance. Here we can seat 250 at round tables of 10 or 280 at banquet tables. Making sure your guests are involved in your wedding enhances the entire experience. Weddings bars are located inside both our ballrooms, ensuring that every guest will witness the special events of the day, such as your grand march and the important dances of the wedding party and parents/loved ones. Another advantage our facility offers is that in most cases wedding parties can get into their ballroom to decorate 36 to 48 hours before your special day. That means that you can concentrate on your rehearsal the day before your wedding. Your special day can start in the wedding suite located inside our private Lodge, where you and your bridal party can go through all your preparations. A large variety of lunch menu options with refreshments such as a mimosa bar, are available while you are all getting ready. 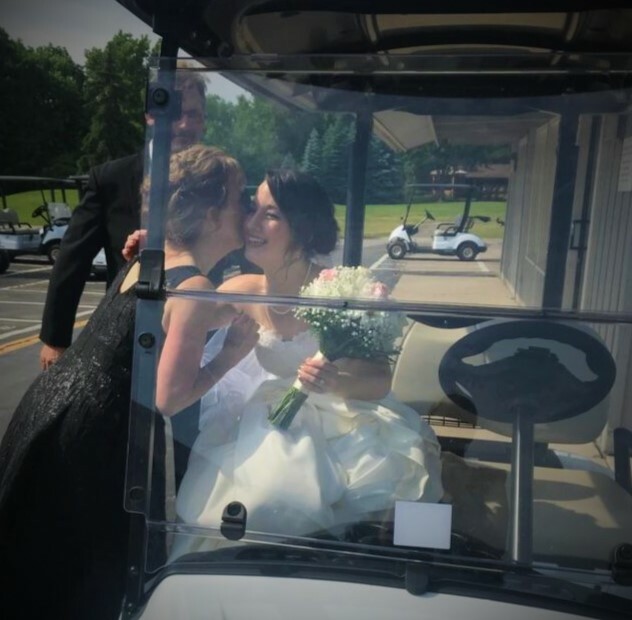 And when you are all ready, if you choose, you can even arrange for a Father/Daughter golf cart ride to the wedding garden. Our full time, in house, catering service serves nothing but the best cuts of meats, fresh and locally sourced ingredients are artfully prepared by an expertly-trained culinary team into dishes that bring out the best possible flavors. Let them create a custom menu that fits your event perfectly! Our competitively priced drink packages range from simple beverages, beer and wine to top shelf creations. We are the perfect venue for corporate team building events. Our ballrooms can accommodate large groups up to 325. With our beautiful golf course located on the grounds, as well as our separate foot golf course, we can offer activities that bring teams together. Meals provided by Cliff View Catering. your next banquet, ceremony or event. They provide an extensive menu of choices.